Zinkgruvan Mining AB in Askersund, Sweden, has signed a new Life Cycle Services (LCS) agreement with Metso. The agreement covers mill lining and related services for five grinding mills and is valid for three years. 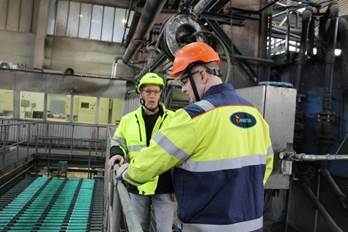 A "cost per ton" agreement ensures that both Zinkgruvan's and Metso's goals are aligned for maximum production as well as safer operations, and is a result of the unique and longstanding partnership between the companies. Under the new LCS contract, five mills in total, including a new autogenous mill that was commissioned in April of this year, will be maintained and serviced at Zinkgruvan. The new mill is expected to help increase production by 10%. The order was booked in Metso's first-quarter 2017 orders received. "Our cooperation is a well-functioning concept: Metso contributes both expertise and experience. Deliveries are on time and we can rely on the quality of solutions coming from Metso's factory in Ersmark," says Magnus Andersson, Mill Manager at Zinkgruvan Mining AB. Technology plays a central role in the future of the Zinkgruvan mine at Askersund. Metso has delivered most of the process equipment for the mine and is working with the entire process, from crushing, grinding, and beneficiation to finished metal concentrate. There are normally three fixed maintenance shutdowns per year. Every stoppage costs money and therefore all unplanned downtime needs to be avoided. "Availability is a key word for Metso. Our job is to make sure that stoppages are short and safe. With Zinkgruvan, we have a frank dialogue with fast decision making. We are set to deliver at short notice and do our utmost to resolve any problems that might arise," says Urban Klitsch, Metso's LCS Manager for Zinkgruvan. HSE work is the main item on the daily agenda at the mine. 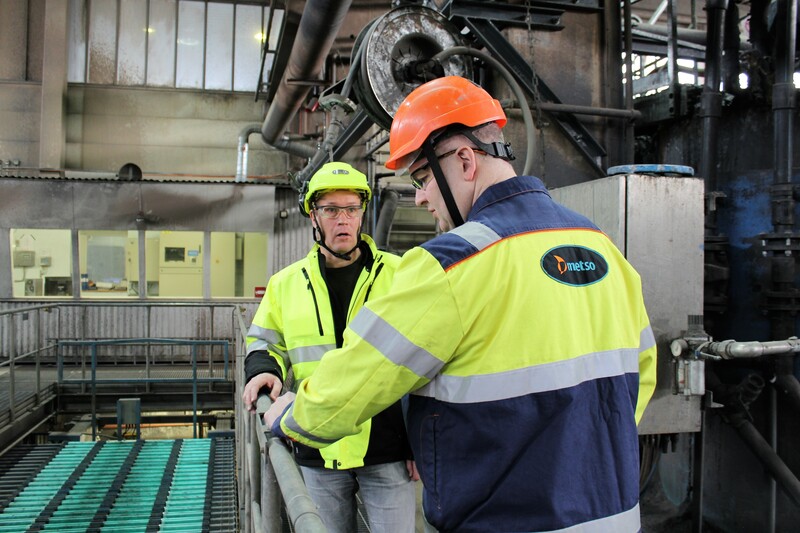 Metso's service personnel are also actively working to find new measures to improve safety. As an example of extra precautions, there is a protective structure built around the mill during a maintenance shutdown. "Here at the plant our preventive work brings results: our Lost Time Incident Frequency (LTIF) is now 1.8, which is a very good result in the industry," Andersson explains. 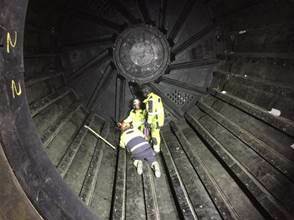 Caption: (Left) Magnus Andersson, Mill Manager at Zinkgruvan, and Urban Klitsch, Metso's LCS Manager for Zinkgruvan, in the concentrator. Caption: Installation of the last lifter in the new mill.